I have to apologize that my last two recipes for Christmas Holiday Cakes and Cheesecakes are being posted two days after Christmas, but the hustle and the bustle got the best of me! I …. am….. sooooo …. sorry! However, to make up for this, I am posting two really great recipes. 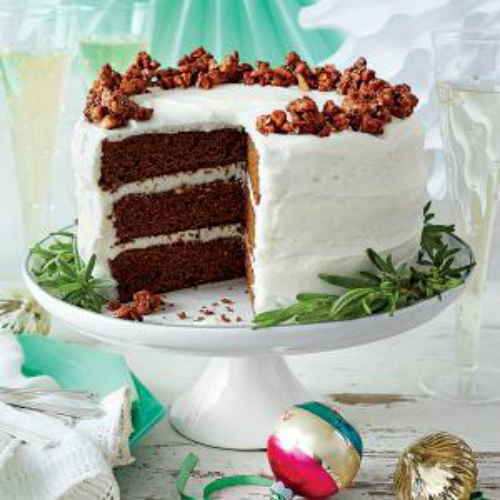 The first one is a delicious Gingerbread Cake with Buttermilk Frosting from Southern Living. Gingerbread is truly one of my favorites and this cake captures the great flavor of gingerbread with the essence of molasses, cloves and crystallized ginger. The tang of the Buttermilk Frosting and the addition of the Spiced Glazed Pecans (walnuts would also be great) takes this cake over the top. A truly delicious cake! 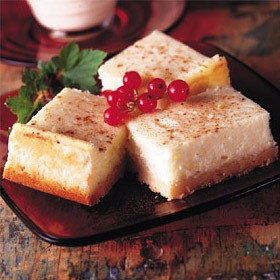 My final offering for the 12 Days of Christmas Holiday Cake and Cheesecake recipes are these wonderful Eggnog Bars featured on Land O’Lakes. Nothing says Christmas more to me than Eggnog. 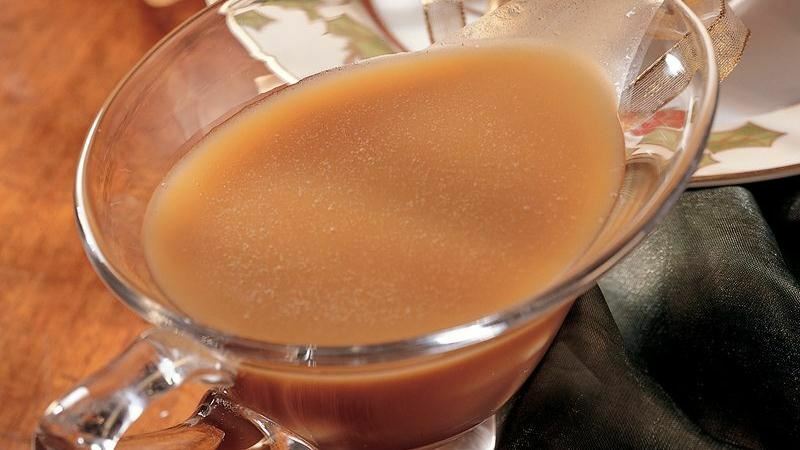 Its rich and creamy taste, with a hint of nutmeg, and sometimes the addition of rum, is truly a joyous occasion and I look forward to it each and every holiday season. So there you have it folks… my final offerings for the 12 Days of Christmas Cakes and Cheesecakes. I have had a great time rounding up these recipes to share with you and I truly hope you have enjoyed them as much as I have. 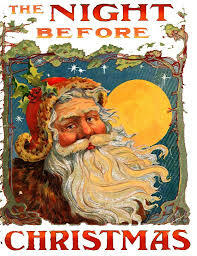 Before I bid you farewell, I would like to share with you my favorite Christmas Poem: The Night Before Christmas. As a small girl, I would look forward to my mom pulling out our cherished Christmas decorations and books. This book was the one I loved the most and could read again and again. The vintage illustrations were beautiful and the rhyming of the story truly made Christmas Eve such a magical and wonderful night. From my family to yours here’s hoping you and yours have a blessed Holiday season!